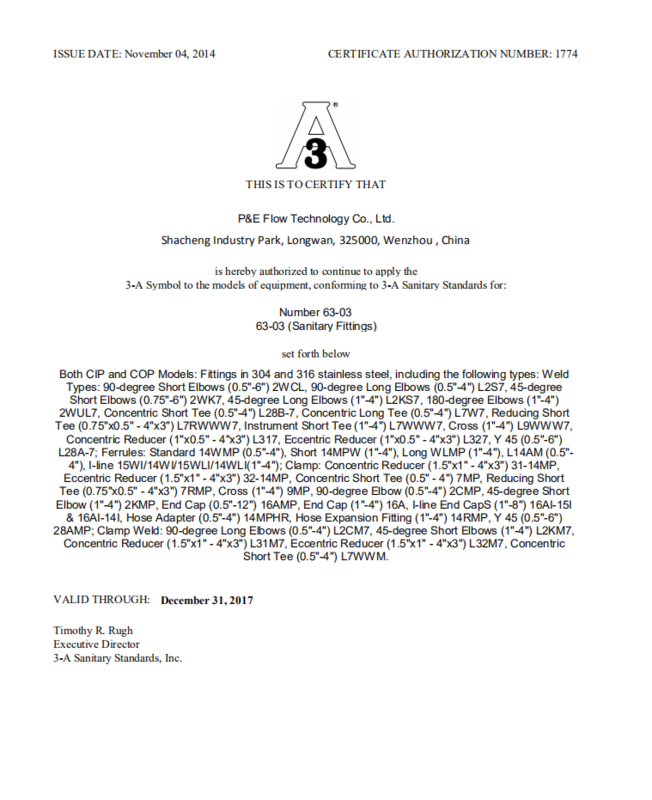 Company Overview - Zhejiang P & E Flow Technology Co., Ltd.
3YRSZhejiang P & E Flow Technology Co., Ltd.
P&E Flow Technology Co., Ltd is a leading producer of sanitary stainless tube, fittings, valves, and manways, not only in China, but also worldwide. we have the both highest quality products, delivery time. 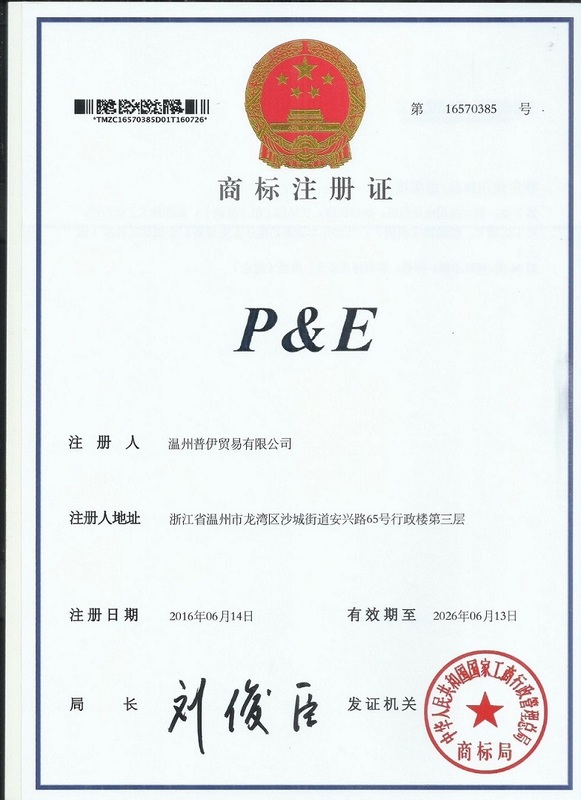 our products are best sold to USA, Canada, Australia. we specialize in components, fittings, and valves for stainless steel sanitary piping systems. our products meet all standards in 3A, ISO, DIN and SMS. 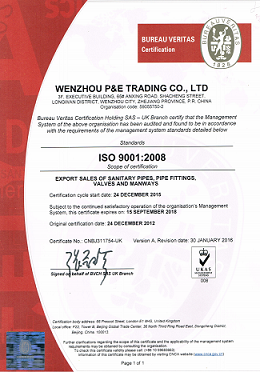 From sanitary tubes to fittings and valves to manways, we are famous in food, brewery, dairy and beverage industries.